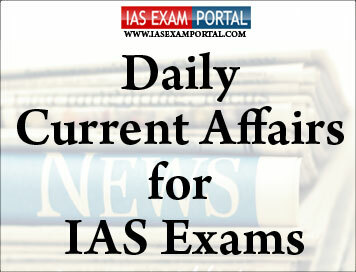 Current Affairs for IAS Exams - 12 September 2018 | IAS EXAM PORTAL - India's Largest Community for UPSC Exam Aspirants. It held that these illegal structures defy a Haryana government notification of August 18, 1992, issued under the Punjab Land Preservation Act, declaring the area as forest land and fragile. The court, however, ordered not to disturb constructions made between April 17, 1984 and August 18, 1992. These structures were built on the basis of an exemption given to Kant & Co. by the State’s town planning department under the Haryana Development and Regulation of Urban Areas Act of 1975 for setting up a “film studio and allied complex” in the area. The exemption was removed when the August 18, 1992 notification kicked in. The court pulled up the State town and country planning department for supporting the illegalities. The department was myopic and brazen to push its agenda in favour of the builder no matter what it cost to the environment and ground water in the area. “It is not only the future generations that have to pay a heavy price for this environmental degradation, but even the present generation is paying a heavy price for the environmental and ecological degradation inasmuch as there is an acute water shortage in the area as prophesied by the Central Ground Water Board,” Justice Lokur said. Safeguarding the rights of people living with and affected by HIV, the Union Health Ministry has issued a notification to bring in force from Monday the Human Immunodeficiency Virus and Acquired Immune Deficiency Syndrome (Prevention and Control) Act, 2017. “Provisions of the Act address HIV-related discrimination, strengthen existing programme by bringing in legal accountability, and establish formal mechanisms for inquiring into complaints and redressing grievances,” noted a release issued by the Ministry. The Ministry said the Act seeks to prevent and control the spread of HIV and AIDS, and prohibits discrimination against affected persons. The Act lists various grounds on which discrimination against HIV positive persons and those living with the condition is prohibited. These include the denial, termination, discontinuation or unfair treatment with regard to: employment, educational establishments, health care services, residing or renting property, standing for public or private office, and provision of insurance (unless based on actuarial studies). The requirement for HIV testing as a prerequisite for obtaining employment or accessing health care or education is also prohibited. V. Sam Prasad, country programme director, AIDS Healthcare Foundation India Cares, said: “Till about 15 years ago, people living with HIV/AIDS faced several challenges once they tested positive, particularly from healthcare providers, hospitals or clinics. Even today, the LGBTQ community faces double stigma — for being a part of the community and for being HIV positive. This is the reason many of them became secretive about their condition, and lived in seclusion. Former RBI Governor RaghuramRajan has cautioned that the next crisis in India’s banking sector could come from loans given to the unorganised micro and small businesses, called MUDRA loans, and credit extended through the Kisan credit card. A total of Rs. 6.37 lakh crore has been disbursed under the scheme by public and private sector banks, regional rural banks and micro-finance institutions till date, as per data from the Micro Units Development and Refinance Agency (MUDRA) website. In a note on bank non-performing assets (NPAs) prepared at the request of MurliManohar Joshi, Chairman of the Parliament Estimates Committee, Dr.Rajan said the government should refrain from setting ambitious credit targets or from waiving loans. He also flagged the Credit Guarantee Scheme for MSMEs, run by the Small Industries Development Bank of India, calling it “a growing contingent liability” that needs to be examined with urgency. “Cleanup was part of the solution, not the problem,” he said, pointing out how public sector banks had started soft-pedalling on loans to industry, agriculture and MSMEs since April 2014, well before the cleanup process began in the second half of fiscal 2015. (see graphs). This was even as they pushed hard on personal and housing loans, where the NPAs were low, He said. Looking ahead, Dr.Rajan said that governance of public sector banks had to be improved by professionalising boards and depoliticising appointments by handing it over to the Banks Board Bureau. He suggested introduction of outside talent into top management of PSBs given the talent deficit they faced. Indian Railways, with its vast network and presence across the length and breadth of the country, has always been at the forefront to serve the society. Inspired by the vision of Hon’ble Prime Minister for a New India by 2022, Railways is taking various initiatives for upgrading its infrastructure, technology, hygiene among host of other things for an enhanced passenger experience. The Indian Railways has identified opportunities in areas wherein corporate collaborations can be fostered which can positively impact the entire ecosystem under Railways. In this regard, the Minister of Railways and Coal, ShriPiyushGoyal launched a web portal www.railsahyog.in today. The companies desirous of contributing can show willingness on the portal by registering their requests. The requests will be processed by Railway officials. Based on the principle of first come first serve, the requests will be shortlisted and selected applicants will be intimated to deposit the funds with Railways/nominated agencies like RITES/RAILTEL etc. The nominated agency will get the work executed thereafter. This portal will provide an opportunity for Industry/ Companies/ Associations to collaborate with Railways. This portal will not only be beneficial for passengers but also for neighbourhood of Railway vicinity.” The Minister emphasised that the cost indicated against each of the activities identified to be undertaken in this initiative are only indicative in nature but the main focus would be on ensuring creation of good quality assets through this collaboration. The Minister further added that the portal has been envisaged as a platform for all including individuals as also private & public organisation to contribute towards CSR activities in association with Indian Railways. Considered a “topmost secret project”, a lot of confidentiality is being maintained in executing the project costing about Rs. 750 crore. It will be named after its induction into the Indian Navy. For now, it is simply referred as VC 11184. The ship was built inside the covered dry dock. It has the capacity to carry 300-strong crew with hi-tech gadgets and communication equipment, powered by two diesel engines, and a large deck capable of helicopter landing. Visakhapatnam is considered a strategic location on the East Coast for the Indian defence forces as it is home for Ship Building Centre to build nuclear powered submarine INS Arihant class, Naval Alternate Operational Base at Rambilli, the second naval base after Eastern Naval Command headquarters, training centre for Marine Commandos and headquarters of the submarine arm. When asked about the commencement of sea trials, HSL Chairman and Managing Director Rear Admiral L.V. SaratBabu told The Hindu that the sea trials would be carried out either by September-end or the first week of October and they were confident of handing over the vessel to the Indian Navy by the year-end. “This would put India in the elite of club of a few countries that have such a sophisticated ocean surveillance ship,” the Rear Admiral pointed out. The number of hungry people in the world is growing again, in large part due to climate change that is wreaking havoc on crop production in much of the developing world, the United Nations said on Tuesday. Major UN agencies said in an annual report that the number of hungry people facing chronic food deprivation increased to 821 million in 2017 from 804 million in 2016, reversing recent downward trends. Analysis in the report found that climate variability, extreme drought and floods are already undermining production of wheat, rice and maize in tropical and temperate regions, and that the trend is expected to worsen as temperatures increase and become more extreme. With hunger on the rise for the past three years, the report called for policies to target groups most vulnerable to malnutrition, including infants, children, adolescent girls and women. It called for greater efforts to promote policies that help communities build resilience. Mr. Beasley said if the world is failing today with a population at 7.5 billion and with all the wealth and technology available, “wait until 30 years from now when we have 10 billion people, when people in London, in Washington, in Chicago and Paris don’t have enough to eat.” At the same time as hunger is increasing globally, rates of adult obesity are also on the rise, the report said. Exercise KAZIND-2018, a joint military exercise between Indian and Kazakhstan Armies, commenced in Otar Military Area, Kazakhstan. The opening ceremony was held today during which the Kazakhstan and Indian soldiers stood side by side and gave ceremonial salute to General Major DzhumakeevAlmaz, Deputy Commander for Battle Training, Kazakhstan Army reviewing the ceremony. This is the third edition of joint military training exercise between Indian Army and Kazakhstan Army. The Kazakh contingent is represented by Military Base 85395 while the Indian side is represented by 5 LADAKH SCOUTS Regiment. General Major DzhumakeevAlmaz, welcomed the Indian contingent and in his inaugural remarks highlighted the common shared beliefs of freedom, equality and justice that are precious to both the nations. The magnificent opening ceremony conducted today started with briefing on Army organization and country presentation by both countries including display of weapons and equipments used by the Kazakhstan Army at sub-unit level. The joint training aims to build & promote army to army relations and exchange skills & experiences between Indian Army and the Kazakhstan Army. Due emphasis will be laid on increasing interoperability between forces from both countries which is crucial for success of any joint operation. Both sides will jointly train, plan and execute a series of well developed tactical drills for neutralisation of likely threats that may be encountered in urban warfare scenario. Ex KAZIND-2018 will contribute immensely in developing mutual understanding and respect for each other’s military. In a hard-hitting response, SAI Special Director-General OnkarKedia reminded NRAI, “SAI held discussions with NRAI on the panel of 29 coaches which was submitted for appointment for the training of Indian shooters. SAI, meanwhile, confirmed the appointment of four coaches: Mansher Singh (chief coach, senior shotgun), VedPrakash (chief coach, senior pistol), MonaliManoharGhore (pistol) and Vishavdev Singh Sidhu (junior shotgun).